Understand the value of customer loyalty. Distinguish attitudinal loyalty from behavioral loyalty. Describe the components of a successful loyalty program. It’s 8:00 p.m. and you’re starving. You open the refrigerator and find a leftover chicken breast, half an onion, and some ketchup. But what can you do with these ingredients? You could search online for recipes that contain them, or you could post a question about what to do with them at a Web site like Kraft.com. Companies like Kraft build Web sites such as Kraft.com in order to create the types of communities we discussed earlier. If you posted your question at Kraft.com, you might have an experience like one woman did—in 24 hours, 853 people viewed the question, and she had 22 answers to choose from. Another question had 3,341 viewers over 10 days. Why has Kraft’s Web marketing team worked so hard to create an environment in which people can do this? One important reason is loyalty. Kraft wants loyal customers—customers who buy Kraft products instead of other brands at every opportunity, who recommend its products to their friends, and are willing to pay a little more to get Kraft quality. Early research on loyalty showed that loyal customers were less expensive to market to, more willing to pay a premium for a particular brand, more willing to try new products under the brand name, more likely to recommend the brand to their friends, and more willing to overlook a problem related to the brand (Reicheld & Teal, 2001). That said, more recent research shows that the benefits that come from loyal customers are not automatic and that it takes careful management for those benefits to be sustained (Reinartz & Kumar, 2003). Loyalty has two dimensions. One dimension of loyalty is behavioral loyalty, meaning that the customer buys the product regularly and does not respond to competitors’ offerings. The second dimension is attitudinal loyalty, which is the degree to which the customer prefers or likes the brand. Most marketers would be happy with behavioral loyalty because it does, after all, result in sales. Yet behavioral loyalty doesn’t mean that the customer is immune to your competitors’ offerings. Nor does it mean the customer is willing to pay more for your brand. For example, a business person might regularly book trips on American Airlines because it flies to the one or two destinations the traveler has to visit regularly. But a lower price on another airline or one scheduled at a more convenient time might persuade the flier to switch to another carrier. Habitual purchases are a form of behavioral loyalty. Comparison shopping takes time and effort, so buyers are often willing to forego looking for substitute products. Habitual purchases are commonly made for low-involvement offerings. You might regularly purchase a Coke at a drive-thru restaurant near your house rather than take the time, energy, and gasoline to look for a Coke that’s cheaper. In this instance, you are displaying behavioral loyalty to the restaurant simply because it is convenient. Marketers engage in many activities to both encourage and discourage behavioral loyalty. Loyalty programs, such as an airline offering travelers frequent-flier miles, can encourage behavioral loyalty. But coupons and other special price promotions can break behavioral loyalty patterns. We’ll discuss loyalty programs in more detail later in this chapter. As we explained, attitudinal loyalty refers to how much someone likes a brand and is willing to act on that preference. Keep in mind, however, that a person’s willingness to act on a preference doesn’t necessarily mean she will purchase your product: If you sell Ferraris, and she is unemployed, she might be unable to afford one. Cause-related marketing, which we discussed in Chapter 12 “Public Relations, Social Media, and Sponsorships”, can foster attitudinal loyalty among a company’s community of customer. Companies that engage in cause-related marketing choose causes that are important to the customer communities in which they operate. 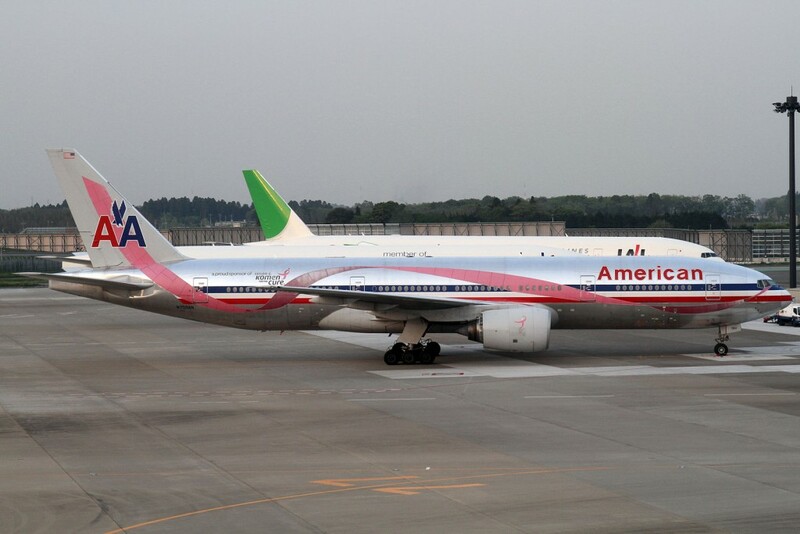 American Airlines sponsors the Susan G. Komen Foundation, an organization that is working to cure breast cancer. KitchenAid sponsors Cook for the Cure, which also benefits the foundation. Both companies support breast cancer awareness because the cause is important to their female customers. American Airlines is a Lifetime Promise Partner, a program designed to support breast cancer awareness and the Susan G. Komen Foundation. The company has painted Komen’s signature pink ribbon on planes as a way to support the foundation. Companies support charities that are important to the communities in which they operate. Wikimedia Commons – CC BY-SA 2.0. Note, however, that cause-related marketing should be sincere. You can probably quickly tell when a person or organization is insincere. So can your customers. Sincerity also breeds trust. For example, when Eunice Azzani volunteered for the San Francisco AIDS Foundation, she did so because the cause was important to her and Korn/Ferry International, the executive search firm for which she is a managing director. While working for the cause, Azzani met executives with Mervyn’s, Wells Fargo, and other major corporations who later engaged her company to conduct executive searches. They knew they could trust her to do high-quality work and that she was sincere about her place in the community (Van Yoder, 2008). Of course, there are many other methods of building attitudinal loyalty. As we mentioned, advertising can create feelings for a brand, as can sponsoring a sports team or cultural event. In the next section, we discuss loyalty programs, one way that companies try to manage both affective and behavioral dimensions of loyalty. Loyalty programs are marketing efforts that reward a person or organization for frequent purchases and the consumption of offerings. For example, Lone Star Park’s Star Player Rewards program awards members points for each dollar they spend at the track. The more points they earn, the better the prize is for which they can redeem their points. Lone Star Park is a horseracing track in Grand Prairie, Texas. The park rewards frequent attendees through its Star Player Rewards program, which tracks members’ purchases and bets. Members can also compete in special contests and participate in special events, such as being able to meet famous jockeys. Travis Isaacs – Lone Star Park – CC BY 2.0. The data a firm collects from a loyalty program can be very useful in terms of designing and improving the company’s offerings. When members initially sign up for a loyalty program, they provide a great deal of demographic information to the organization. Their behavior can then be tracked as well. For example, Lone Star Park can determine who sits in what section of the track by what tickets members purchase, as well as where they purchase their refreshments or place their bets. The track can also determine members’ preferences for food and drink products or services such as betting clerks and betting machines. When the track has nonracing events, such as a concert, the events can be promoted to Star Players. Depending on how the members respond, additional offers can be made, or not made, to them. Lone Star Park might also team up to create an offering with American Airlines. For example, the track and the airline could compare customer lists and determine which Star Players members are also members of American’s AAdvantage frequent-flier program. These individuals could then be offered discounts on trips to Louisville, Kentucky, where the Kentucky Derby is held. Such an offer is called cross-promotion marketing. 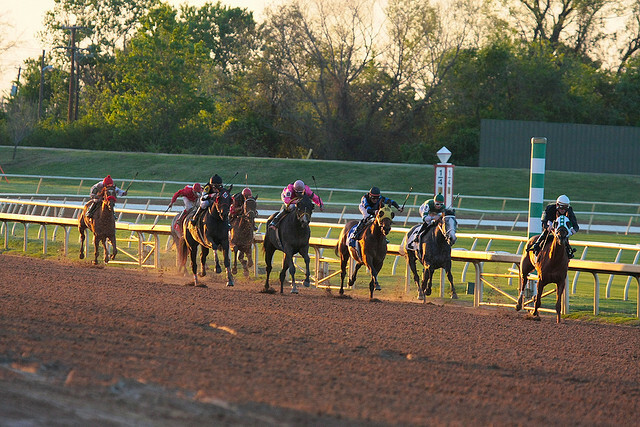 A cross-promotion can be used to introduce new marketing members to a community; in this case, Lone Star Park is introducing American to the horseracing community. The cross-promotion creates credibility for the new member, just as you are more likely to accept a recommendation from a friend. When loyalty programs work, they result in one or more of the four effects of loyalty: the blocker effect, the spreader effect, the accelerator effect, and the longevity effect. We’ll start by describing the longevity effect. Good loyalty programs lengthen the lifetime value of customers by increasing their switching costs. Loyal customers don’t pay attention to competitors’ messages. Loyal customers buy additional products from vendors to which they are loyal. Loyal customers buy products more frequently i norder to move to the next level of their loyalty programs. The longevity effect is lengthening the lifetime value of a customer. We discussed customer lifetime value (CLV) in earlier chapters. One result of a good loyalty program is that your buyers remain your customers for longer. Because a loyalty company has better information about its customers, it can create offerings that are more valuable to them and keep them coming back. Consider a loyalty program aimed at customers as they progress through their life stages. A grocery store might send diaper coupons to the mother of a new baby and then, five years later, send the mother coupons for items she can put in her child’s school lunches. Loyalty programs also affect the longevity of customers by increasing their switching costs. Switching costs are the costs associated with moving to a new supplier. For example, if you are a member of a frequent-flier program, you might put up with some inconveniences rather than switching to another airline. So, if you are a member of American’s AAdvantage program, you might continue to fly American even though it cancelled one of your flights, made you sit on a plane on the ground for two hours, and caused you to miss an important meeting. Rather than starting over with Continental’s Elite Pass program, you might be inclined to continue to book your flights on American so you can take a free trip to Europe sooner. The blocker effect is related to switching costs. The blocker effect works this way: The personal value equation of a loyalty program member is enhanced because he or she doesn’t need to spend any time and effort shopping around. And because there is no shopping around, there is no need for the member to be perceptive to competitors’ marketing communications. In other words, the member of the program “blocks” them out. Furthermore, the member is less deal-prone, or willing to succumb to a special offer or lower price from a competitor. The blocker effect can be a function of switching costs—the costs of shopping around as well as the hassles of having to start a new program over. However, the effect can also be a function of relevance. Because the loyalty marketer has both information on whom the buyer is and data on what the buyer has already responded to, more relevant communications can be created and aimed at the buyer. In addition, because belonging to the program has value, any communication related to the program are already more relevant to the buyer. The spreader effect refers to the fact that members of a loyalty program are more likely to try related products offered by the marketer. For example, an American Airlines AAdvantage member who also joins the company’s Admiral’s Club airport lounge creates additional revenue for the airline, as a does the member’s purchase of a family vacation through American’s Vacation services. The spreader effect becomes even more pronounced when a cross-promotion is added to the mix. Earlier we mentioned Lone Star Park might team with American to offer a trip package to the Kentucky Derby. Another example is Citibank offering you AAdvantage miles if you get a Citibank Visa card through American’s AAdvantage program. Cross-promotions such as these encourage loyalty program members to try even more products from more producers. When rats running in a maze get closer to the cheese, they speed up. Like rats in a maze, consumers speed up, or accelerate, purchases when they are about to reach a higher award level in a loyalty program, called the accelerator effect of a loyalty program. In American’s AAdvantage program, for example, a member gets “Platinum” status after flying sixty flights or fifty thousand miles. Platinum members get special awards, like more frequent upgrades to first class, boarding ahead of everyone else, not having to pay for luggage and other fees, and double mileage toward free flights. Someone who has fifty flights and just needs ten more to become Platinum will start to fly American more frequently until the Platinum level is reached. Then, American hopes that the other effects (blocker, spreader, etc.) will occur. Companies can capitalize on the accelerator effect by making it easy for members to track their progress and notifying them when they are close to reaching subsequent levels. American helps its Advantage fliers track their progress by sending them monthly updates on their levels. Couple such a notification with a special offer, and a company is likely to see even greater acceleration. The accelerator effect can also be used with promotions that create short-term, loyal behavior. Pepsi created a promotion with Amazon in which purchasers could accumulate points toward free music downloads. The promotion, launched with a Justin Timberlake Super Bowl ad, was a knock-off of Coca-Cola’s MyCokeRewards.com. Although they weren’t formal loyalty programs, both promotions led to an accelerator effect as customers got close to the award levels they needed to redeem prizes. Just having a loyalty program is no guarantee of success, though. Eight studies of more than a dozen grocery-store loyalty programs in the United States and Europe showed that five programs had no impact on the loyalty of customers, two increased sales but not profits, two had mixed results, and five had positive results (Tanner & Morris, 2009). There are, however, several characteristics of loyalty programs that can make them effective, each of which is discussed next. The first characteristic of an effective loyalty program is performance. No loyalty program can overcome a company’s poor performance. Even the most loyal buyer can put up with subpar performance for only so long. Responsiveness is how well a company can take customer information (such as complaints) and alter what they do to satisfy the customer. Loyal customers are more willing to complete surveys and participate in market research, but they expect companies to use the information wisely. For example, when customers complain, they expect their problems to be fixed and the company to use the information so that the same problems don’t reoccur. Likewise, the members of influencer panels expect to be listened to. If you ignore their input, you are likely to alienate them, causing them to switch other brands. A company’s responsiveness—or lack thereof—also becomes evident to buyers when they spot a better offer. Precisely at that moment, they realize that the company that created the better offer was more responsive and worked harder to meet their needs. Loyal customers are like sports fans—they wear their “team’s” colors. That’s why loyalty programs have names that sound prestigious, like Continental’s “Elite Pass” program or American’s “Executive Platinum” program. Loyal customers also want to be recognized for their loyalty. Hampton Inn, which is part of the Hilton family of hotels, is one company that could do a better of job of recognizing its customers—literally. One of the authors stays regularly at the same Hampton Inn, only to be greeted every time on arrival with the question, “Is this your first stay with us?” The author is not only a regular guest at that hotel but a member of Hilton Honors, the hotel’s loyalty program. But apparently the Hampton Inn’s reservation system doesn’t provide that information to its front desk clerks. If you fail to recognize customers who are loyal, you are essentially telling them that their business isn’t that important to you. When customers stay regularly at the same hotel, welcoming them back is an example of recognizing their loyalty. Good loyalty programs allow service personnel to identify loyal customers so they can be given special treatment. 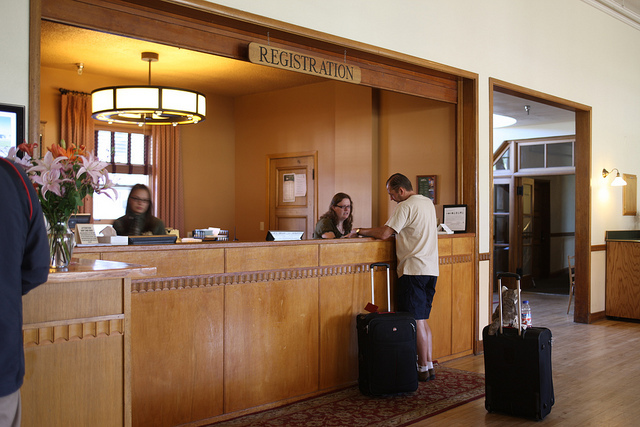 Yellowstone National Park – Mammoth Hot Springs Hotel, registration desk – CC BY 2.0. What are the benefits of being loyal? A loyalty program should make those benefits clear. For example, Continental Airlines has a special boarding lane for its Elite Pass members. Travelers who are not Elite Pass members can easily see the special treatment members receive. If the elements of scarcity and status can be created by a loyalty program, the benefits of belonging to it will be obvious to customers. Finally, marketers who can put loyal customers together with other loyal customers are likely to build a community around the common experience of consumption. At Lone Star Park or American Airlines, common consumption is obvious—people are actually together. Building a community in which people don’t actually consume goods and services together can be a bit more difficult, but recall that Kraft has done so with its online presence. Members of Kraft.com still share their experiences, their recipes, their questions, and their answers, thereby creating a sense of “we’re in this together.” Some of the postings might be related directly to Kraft products, whereas others might only be indirectly related. Nonetheless, they all provide Kraft with insight into what its customers are thinking. Meanwhile, its customers become more loyal as they participate on the Web site. Keep in mind that a loyalty program isn’t necessary to create loyalty. Lexus doesn’t have a formal loyalty program. Yet studies show that Lexus owners are the most loyal luxury car buyers. Over half of all Lexus owners buy another Lexus. (The brand’s slogan is “Once a Lexus buyer, always a Lexus buyer.”) By contrast, Mercedes-Benz has a loyalty program, but only 40 percent of its buyers purchase another Mercedes (Ireson, 2009). A company can also offer its customers loyalty benefits that are not a part of a formal loyalty program. For example, Mercedes-Benz gives loyal buyers an opportunity to suggest new features via a contest, for which there is no prize other than the recognition the winner gets because his idea was selected. And like many other car manufacturers, Mercedes offers owners special trade-in deals. The challenge with loyalty promotions that lie outside loyalty programs is collecting the information marketers need to target customers. Customer loyalty is both behavioral and attitudinal. Habitual purchases are a form of behavioral loyalty. Cause-related marketing can foster attitudinal loyalty among a company’s community of customers, as can loyalty programs. Loyalty programs can have four positive effects: They can increase the longevity, or lifetime value, of customers; block competitors’ marketing efforts; encourage customers to buy related offerings; and accelerate their purchases. Loyalty programs don’t automatically create loyalty among customers, though. Loyalty is created when a company performs well, responds to its customers, identifies its loyal customers, makes the benefits of its loyalty program transparent (obvious), and when the firm builds a community among its customers. What are the benefits of having loyal customers? Why or how do those benefits occur? What is the difference between loyalty and loyalty programs? How can you create loyalty without having a loyalty program? Ireson, N., “Lexus First in Owner Loyalty Survey, Saab Last,” September 3, 2008, http://www.motorauthority.com/jd-power-lexus-first-in-luxury-owner-loyalty-saab-last.html (accessed July 13, 2009). Reicheld, F. and Thomas Teal, The Loyalty Effect: The Hidden Force Behind Growth, Profits and Lasting Value (Boston: Harvard Business Press, 2001). Reinartz, W. J. and V. Kumar, “The Impact of Customer Relationship Characteristics on Profitable Lifetime Duration,” Journal of Marketing 67, no. 1 (2003): 77–96. Tanner, J. F. Jr., and Deepa Morris, “Customer Empowerment” (white paper published by BPT Partners, LLC, March 2009). Van Yoder, S., “Cause-Related Marketing,” http://www.streetdirectory.com/travel_guide/5529/marketing/cause_related_marketing.html (accessed October 10, 2008). 14.2 Loyalty Management by [Author removed at request of original publisher] is licensed under a Creative Commons Attribution-NonCommercial-ShareAlike 4.0 International License, except where otherwise noted.